This is a summary of bringing up an IPSEC site to site VPN tunnel between a Cisco ASA firewall we’ll call EAST running ASA 8.2(1) and an Juniper SRX 650 firewall we’ll call WEST running Junos 11.4R7.5. Not the most elegant blog post in the world, but rather a summary along with config files that worked in my case and have been stable for about a week now. Juniper offers route-based IPSEC VPNs and policy-based IPSEC VPNs. After lots of reading, route-based offers a lot more flexibility, but can only be counted on to work with other Junos devices. Policy-based is similar to other firewall IPSEC configurations, and maximizes compatibility with non-Junos platforms. Policy-based configurations tend to be much longer because of a source-destination IP matching paragraphs. Juniper loves you very much, and wants your VPN configurations to be easy. Therefore, they’ve provided this handy CLI code configuration generator tool. Static routes that point the remote VPN subnets to the outside interface. If the default route covers it, that’s fine, but adding a static route to the outside might be necessary. If you’re not sure, add the statics. NAT exemption statements, which are required if the zone you are going from (some internal zone most likely) and to (probably the “untrust” Internet-facing interface) has a NAT policy that overloads to a pool or interface IP. You don’t want to NAT the VPN tunnel traffic. TCP MSS adjustment. MSS is the “maximum segment size”, and it’s a value that’s advertised to the other side of a TCP conversation during the 3-way handshake process that nails up a socket. By default, MSS is 1460, but this is too large to accommodate the ultimate size of the packet once encapsulated inside of IPSEC. Juniper recommends 1350 MSS for IPSEC VPN traffic to avoid fragmentation. While fragmentation isn’t the end of the world, it can impact performance. Any unusual requirements, like host identity modification I had to make in the steps below. Getting this tunnel up the first time was painful, as evidenced by the mental scars I expect to be seeing a specialist about for a very long time. While the configuration on both the ASA and SRX was straightforward enough, the tunnel would not come up – not even past IKE (phase 1). Oct 11 13:46:59 [IKEv1]: Group = 66.67.68.69, IP = 66.67.68.69, Removing peer from correlator table failed, no match! Oct 11 13:47:09 [IKEv1]: Group = 66.67.68.69, IP = 66.67.68.69, QM FSM error (P2 struct &0x7406aeb0, mess id 0x5dd97e6b)! After trying lots of things that didn’t help even a little bit (have I mentioned the mental scars? ), the issue was tied to the EAST ASA identifying itself in the IKE exchange by hostname instead of IP. This is not default behavior on modern ASAs, although it was the default behavior on ancient PIX firewalls which you can still find in museums. When configured to send the hostname, the FQDN generated by the ASA is based on the hostname and domain name configured. To accommodate this behavior, I updated the SRX to expect the FQDN as the IKE identity instead of the IP address. These configs cover EAST networks 10.111.111.0/24, 10.112.112.0/24 and 10.200.200.0/24 talking to WEST networks 10.248.248.0/16 & 10.249.249.0/16. 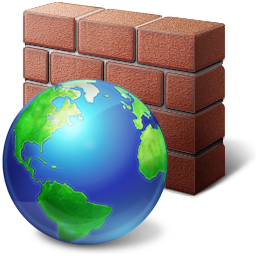 The EAST firewall is 206.207.208.209, and the WEST firewall is 66.67.68.69.
! Add static routes if needed. EAST firewall default route covered it in this case. I had a similar problem a few Month ago. But with a dynamic IP at the srx. Unfortunately the hostname option is imo not so useful for a roadwarrior setup. Therefore i used “set security ike gateway IKE-PEER-UCL local-identity user-at-hostname “aaaa@bbb.cc”.